This Truck Trial is modeled after the International FTTS concept. The truck features a two speed gearbox, MacPherson Strut independent suspension, four wheel steering, crab steering, and is fully remote controlled using the PF system. I wanted to try an independent suspension truck for once. I was finding a couple of issues I wanted to address with the pendular suspension set up; namely it steering restrictions and space constraints. 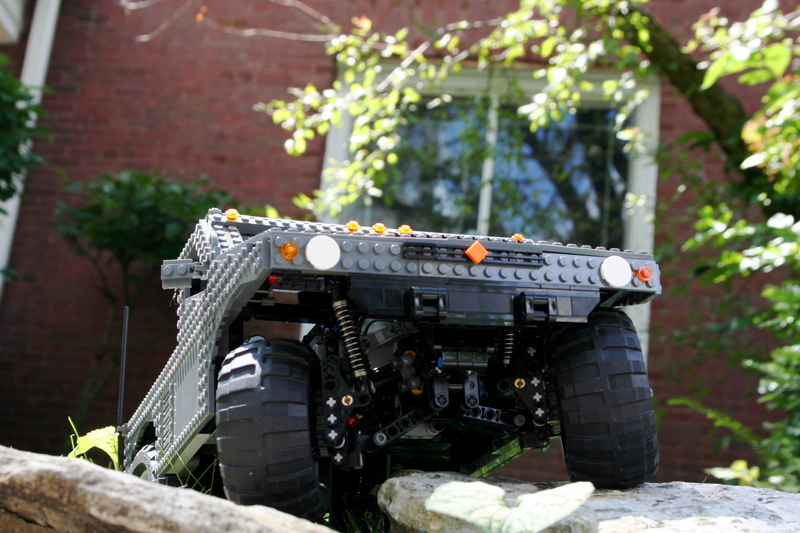 Using an independent suspension would give me the ability to have crab steering, keep the battery box in the center, and have gearbox without having the wheelbase extend past 40 studs. I chose a "MacPherson Strut" set up for the suspension arms. 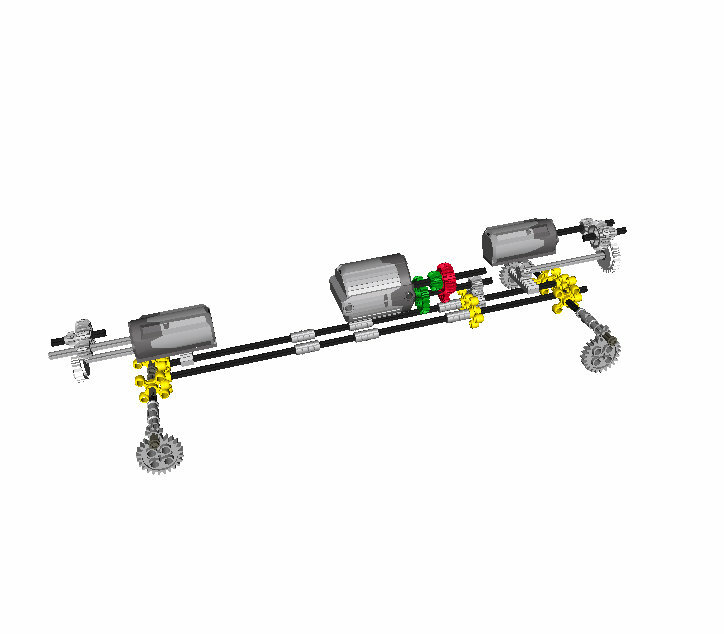 This allowed for a steering axis close to the wheels, portal axles, and long Lego springs to be used. The gearbox was a two speed unit that moved the PF XL two studs, which changed the gears. one PF M powered the gearchange. The final gear rations were 1:10 and 1:4. The truck preformed alright. The 8 tooth gears at the portal axles kept slipping because the drive shaft was not adequately supported in the suspension arms. The gearbox functioned flawlessly, which, as I put one in more of my trucks, continues to surprise me. Traction was good, and the suspension worked well with just enough support and sag. On to build my next truck.